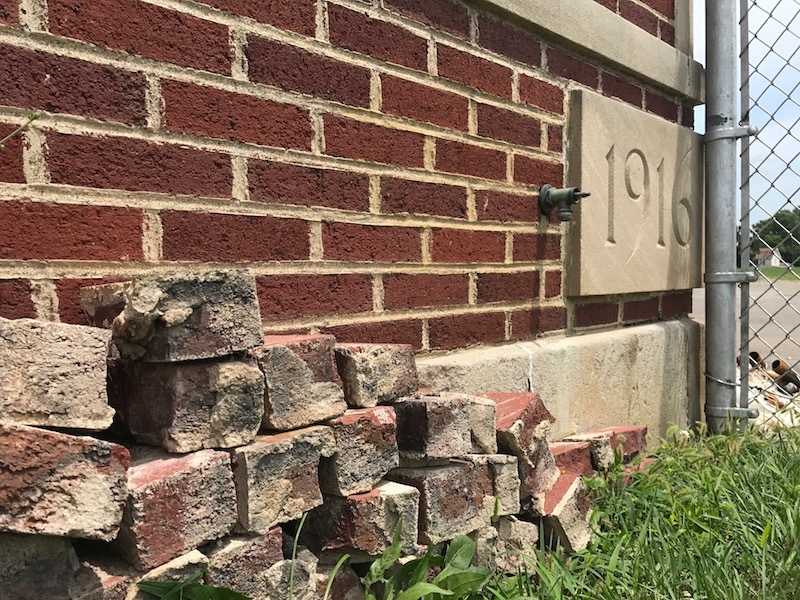 CIRCLEVILLE— Everts Hill, the former Everts School Building at 520 S. Court St., is halfway through its facelift and is undergoing historical preservation changes by Utmost Renovations and its owner, Circleville native Mark Huffer. 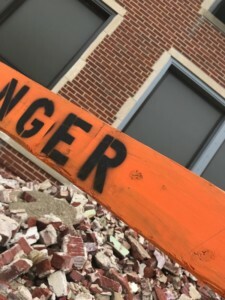 Huffer said they began by cleaning the building with water and a low pressure power washer and have started the process of replacing damaged bricks in the exterior of the building. Huffer said currently, all the missing lintels and stone above the windows will be replaced. A lintel provides support across the top of the windows. 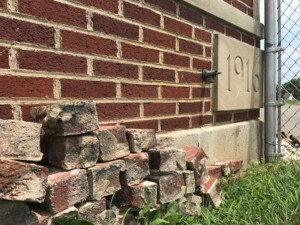 In addition to those changes around the windows, Huffer said replacing the old mortar that is failing is another priority. “We’re doing a lot of spot pointing, replacing the old mortar with new mortar to match in style, texture, color, and the proper sand aggregate mix,” he said. 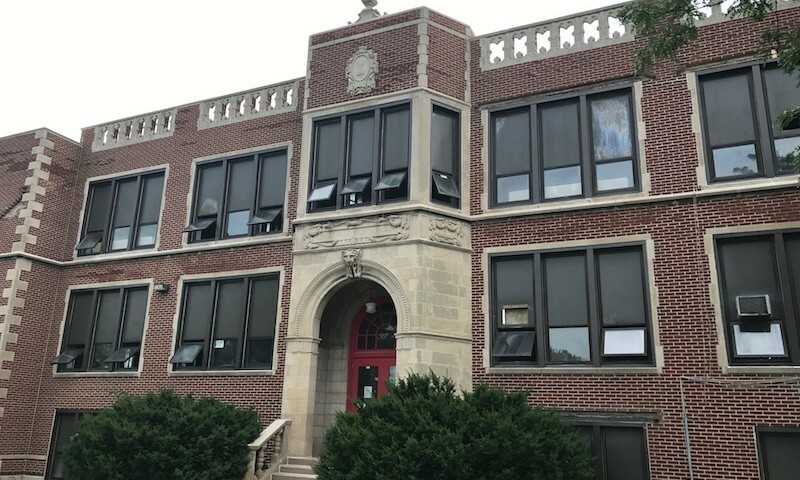 Huffer was a 1987 graduate of Circleville High School and attended Everts during his middle school days. He said he is proud to be able to work on the building. Everts Hill will feature 49 units of senior housing in the former middle school. There will be a total of 16 two-bedroom and 33 one-bedroom apartments. The primary source of funding for the Everts Hill project is tax credit equity from the Low Income Housing Tax Credit (LIHTC) program. The Ohio Housing Finance Agency allocated approximately $910,740 in annual low income housing tax credits for the development. 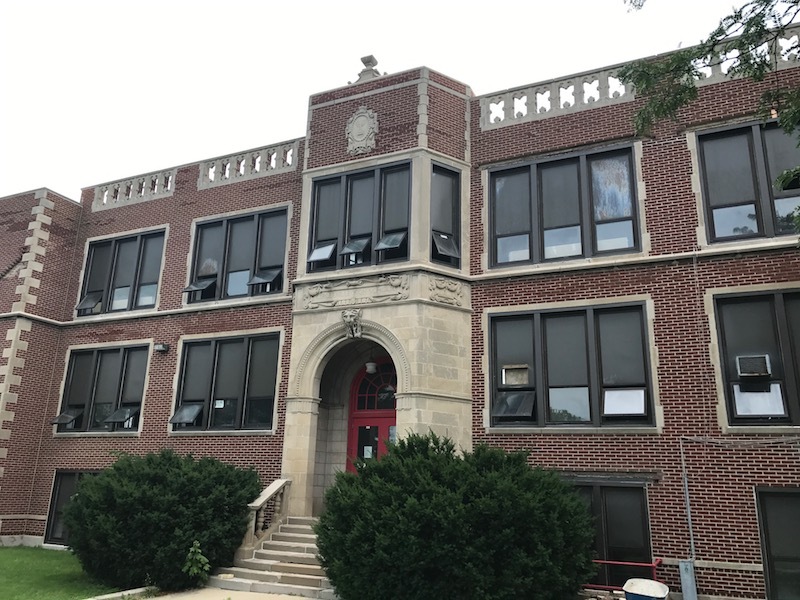 The Ohio Capital Corporation for Housing is investing just over $8.9 million in equity in return for the low income housing tax credits, and over $2 million in return for Federal Historic Rehabilitation Tax Credits. Because of those tax credits and the historic nature of the building, Huffer said things move a little slower and more deliberate.